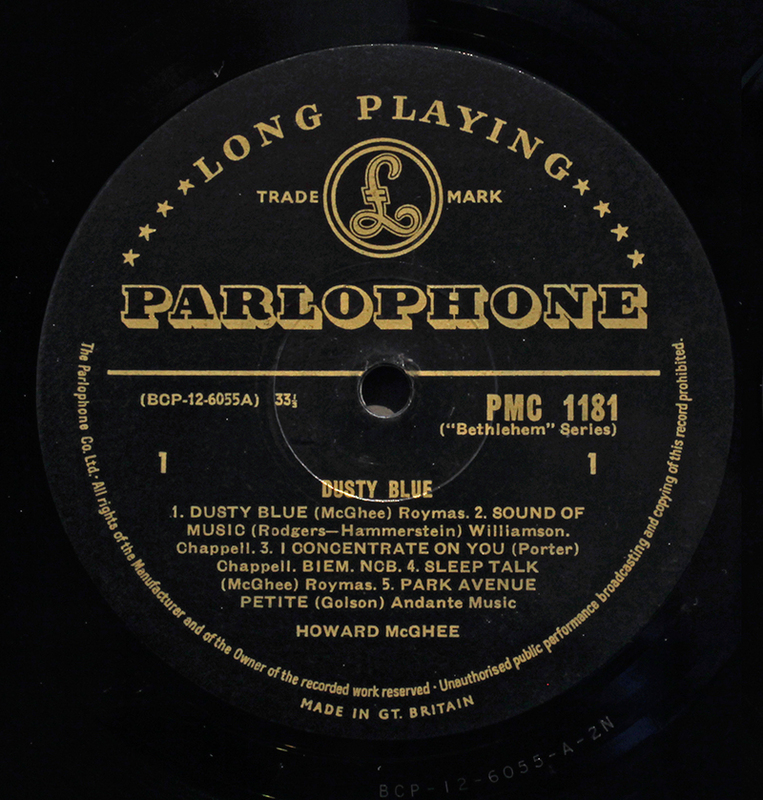 Founded in Germany as Parlophon in the 1890’s by Carl Lindström, the British offshoot Parlophone was absorbed in to Columbia Gramaphone Company in the 1920’s, later becoming part of EMI. In the Thirties and Forties it released many jazz records by the likes of Ellington and Louis Armstrong, and by the late Fifties included a selective catalogue of modern jazz releases licensed from Bethlehem, including titles by Charles Mingus and Howard McGhee. By the 1960’s EMI’s Parlophone’s greatest claim to fame had become The Beatles, however the fitting trademark “£” sign is not as it appears, a British Pound sign, but the letter “L” in German script, from its Lindström origins.